Why do we make custom apparel in Minnesota? 1. We care about our community. Keeping production local means keeping production green. A lower carbon footprint is good for the planet and good for our community. In addition, it is a priority for us to give the many jobs involved in transferring, cutting, sewing, and packaging our goods to the people of our own community rather than sending those jobs overseas. 2. We care about our clients. Producing highly technical custom sublimated apparel is as complicated as clothing manufacturing gets. We create patterns that function at the highest levels of competition, source fabrics and trims that can overcome the toughest conditions, work with clients to bring their unique design ideas to life, then print, transfer, cut and sew each piece to the highest standards. We do this for every single order no matter how small. To pull this off, every step of our production needs substantial oversight. This can only be accomplished successfully in a workshop-style environment where everyone has a hand in the end product. Shipping everything overseas to some remote factory just doesn't cut it. We care about our clients too much for that. This level of craftsmanship is rare in today's world, but we know it will result in the very best product we can offer, and in the least amount of time. That's why we got into the custom business in the first place. 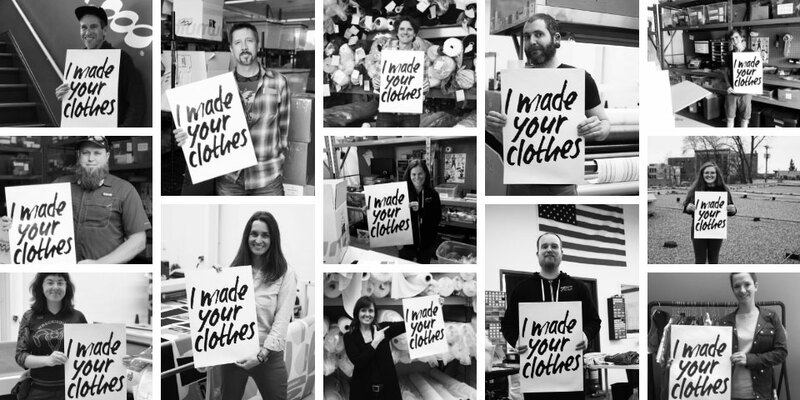 Let's hear it for apparel Made in MN!